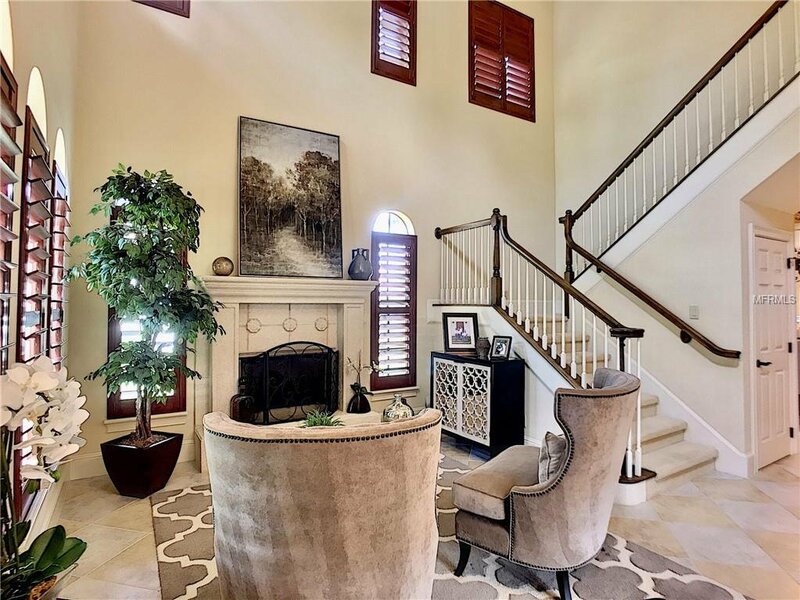 Keene's Pointe - As you enter this 4 bedroom/4 bath custom home, you are greeted by the 2-story foyer and living room with gas fireplace and expansive staircase with open balcony above. 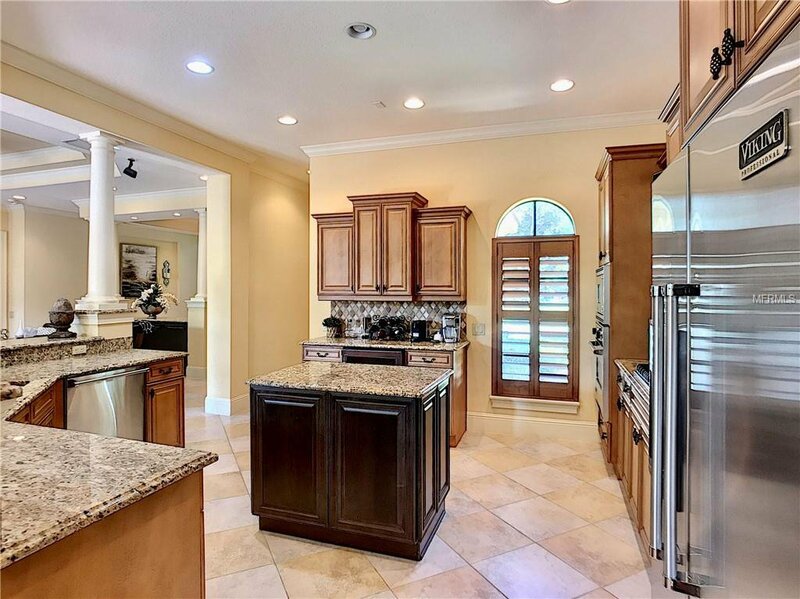 The dining room, family room, kitchen and breakfast rooms are open and spacious - perfect for entertaining.The kitchen features a combination of maple and black cabinetry with granite countertops, Viking appliances, a dry bar area for wine refrigeration and an island and breakfast bar. 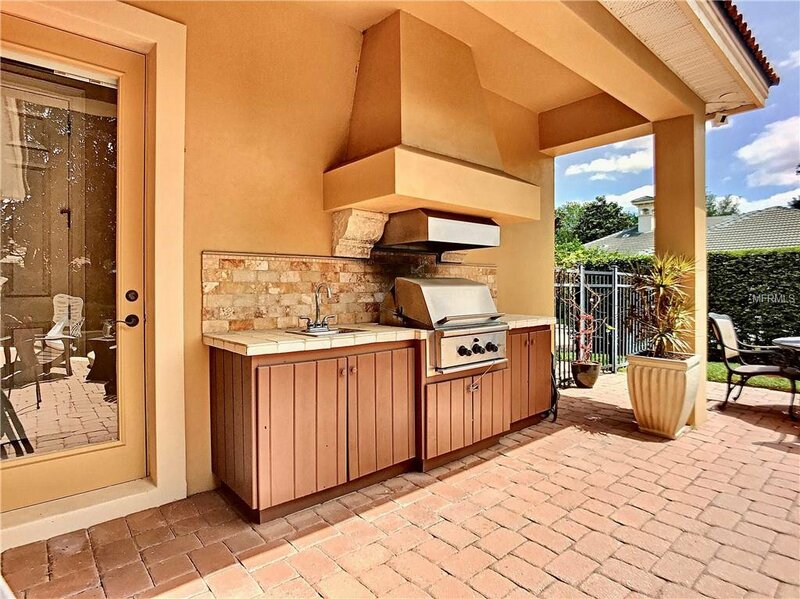 The breakfast nook has a built-in planning desk and opens up to the outdoor lanai. 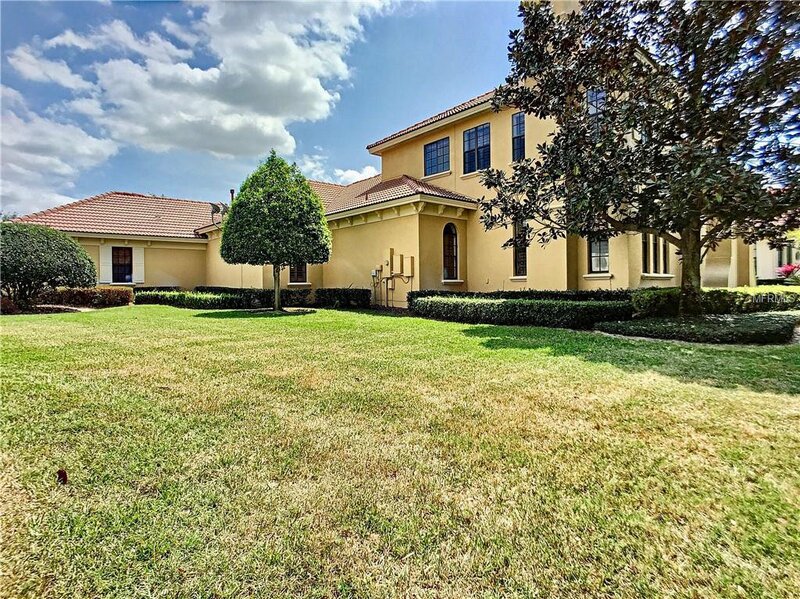 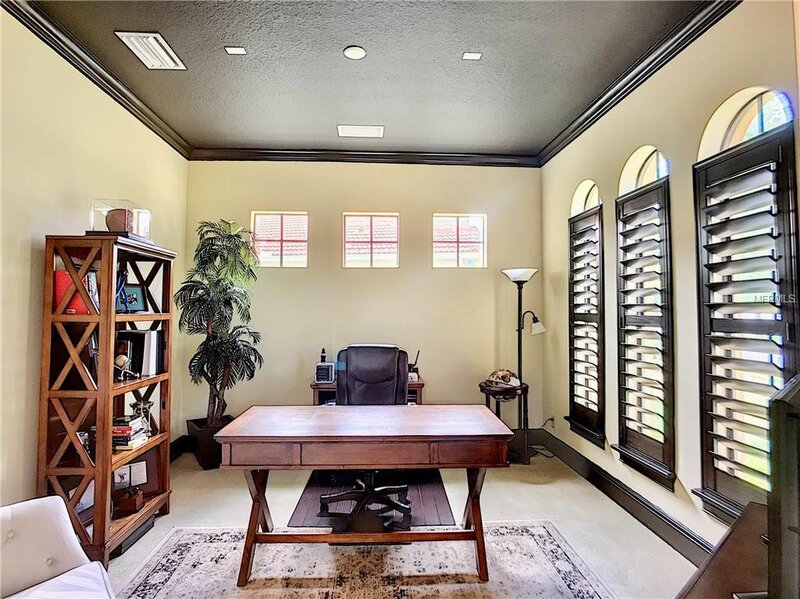 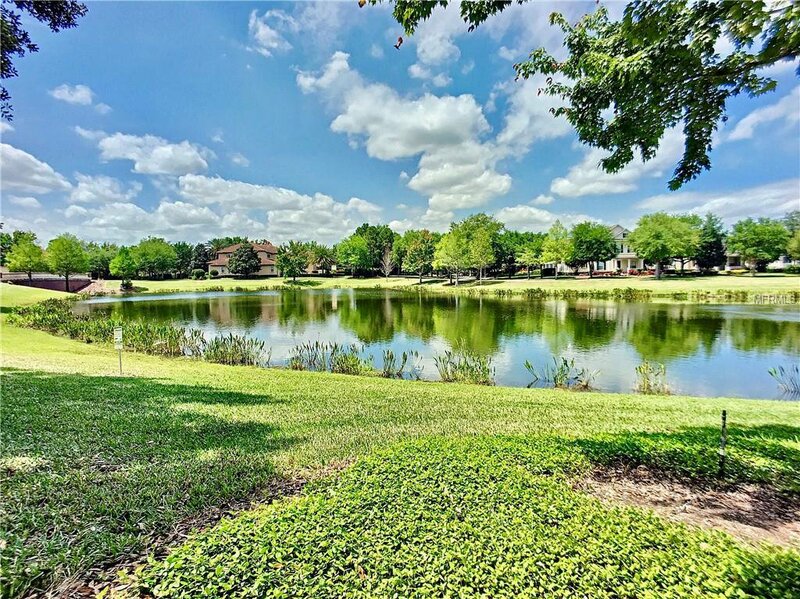 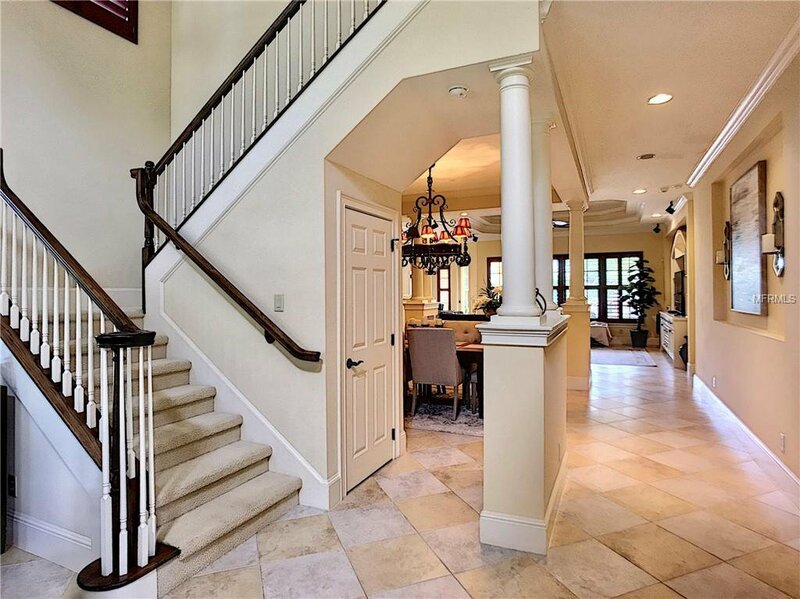 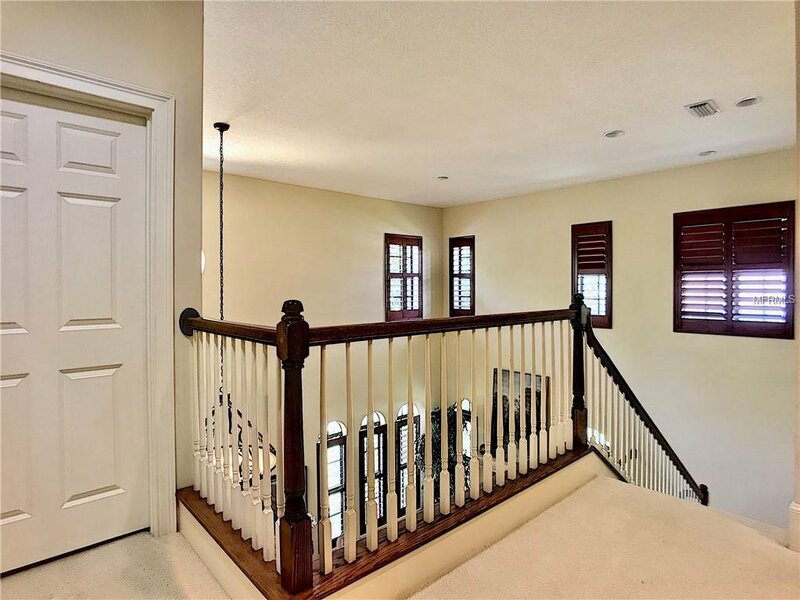 Off the main entry is the office and master suite with hardwood flooring and 2 master closets. 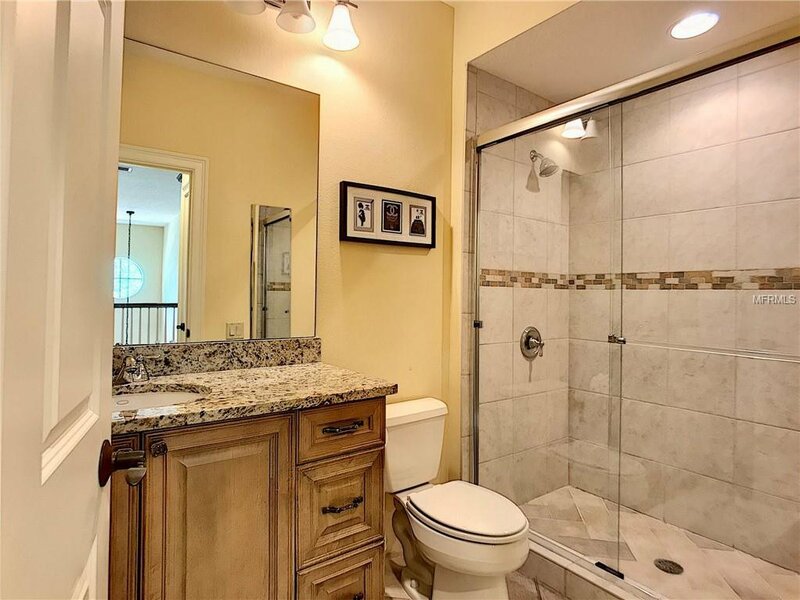 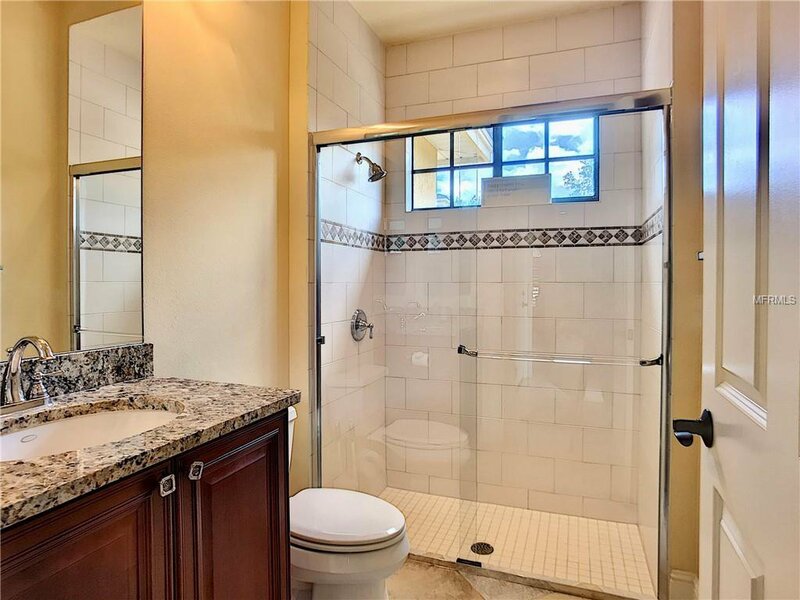 The master bath boasts two sinks with granite countertops, jetted tub and spacious shower. 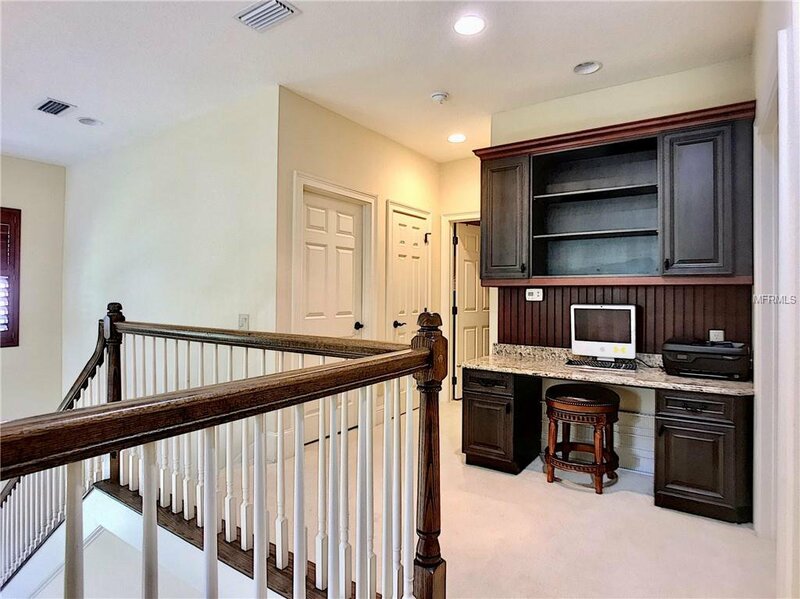 The upstairs features a second computer/work station, three additional bedrooms and two baths. 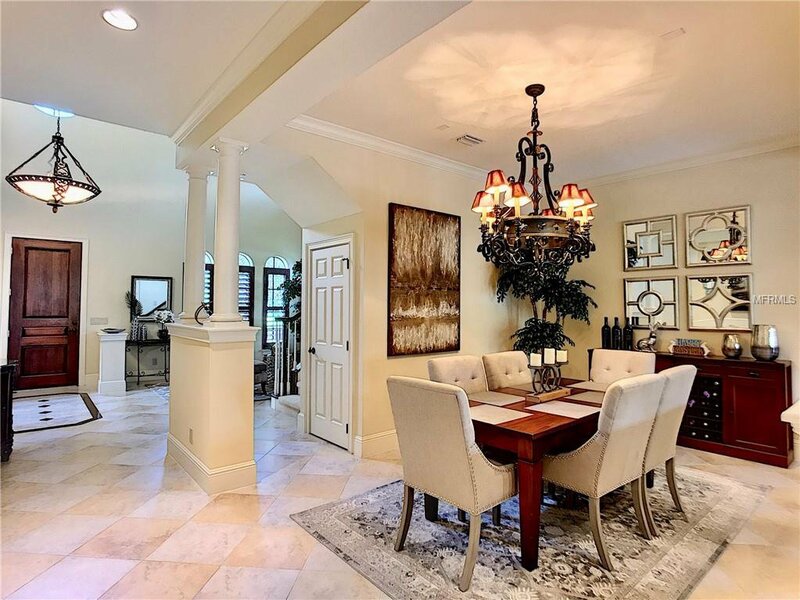 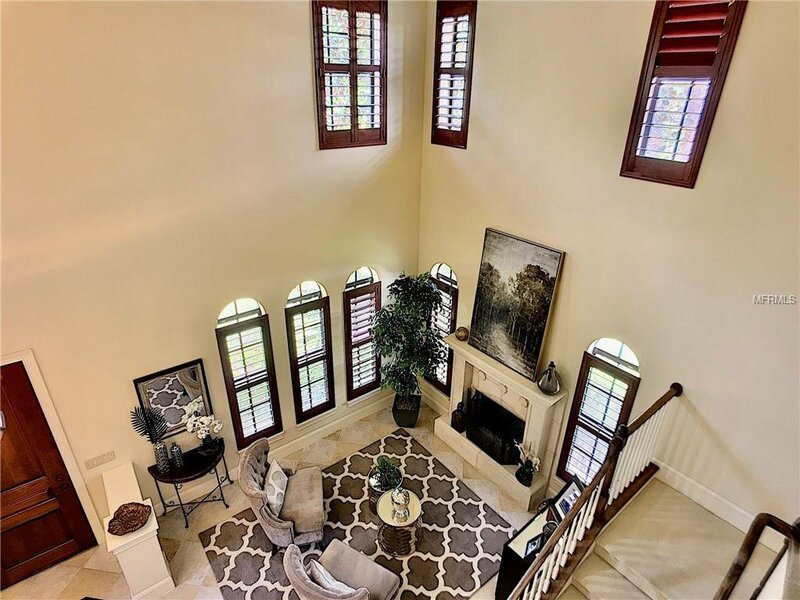 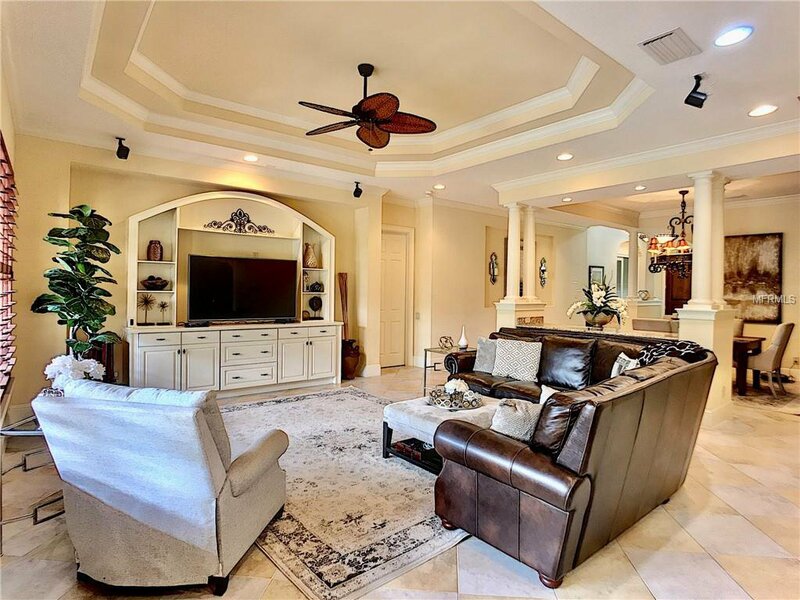 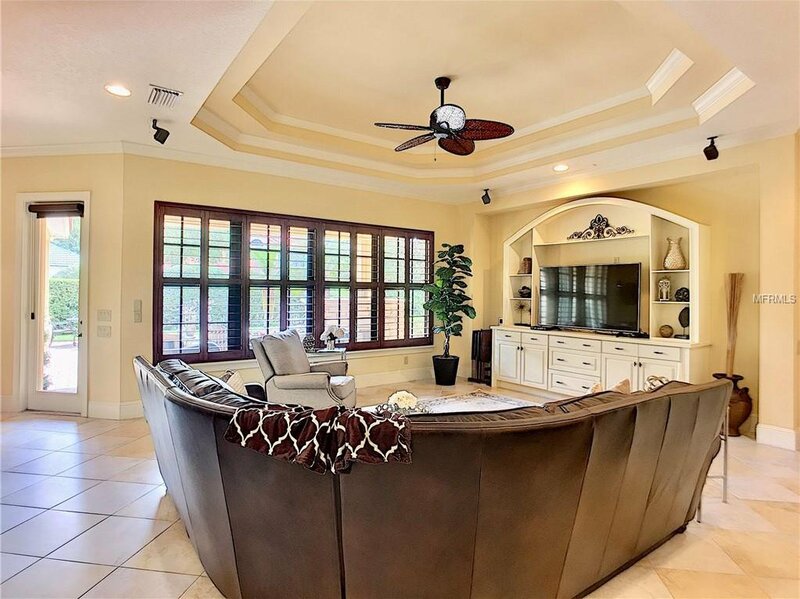 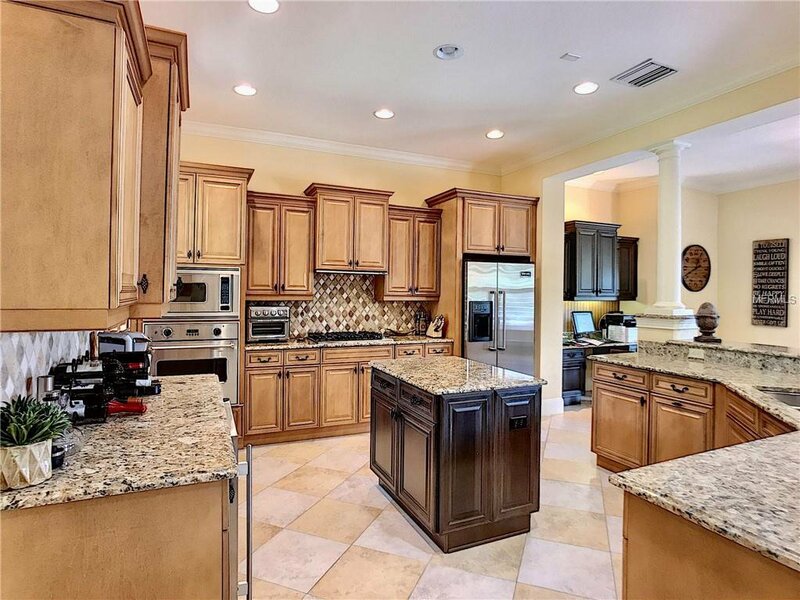 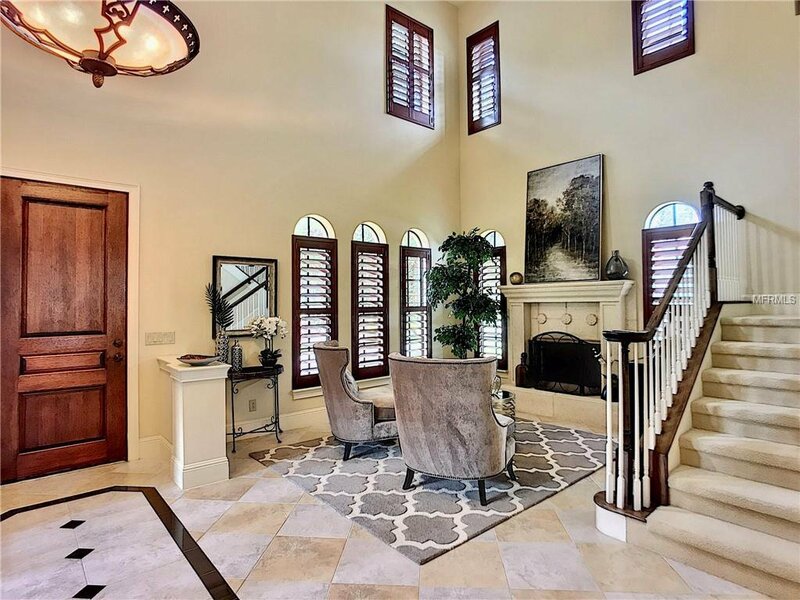 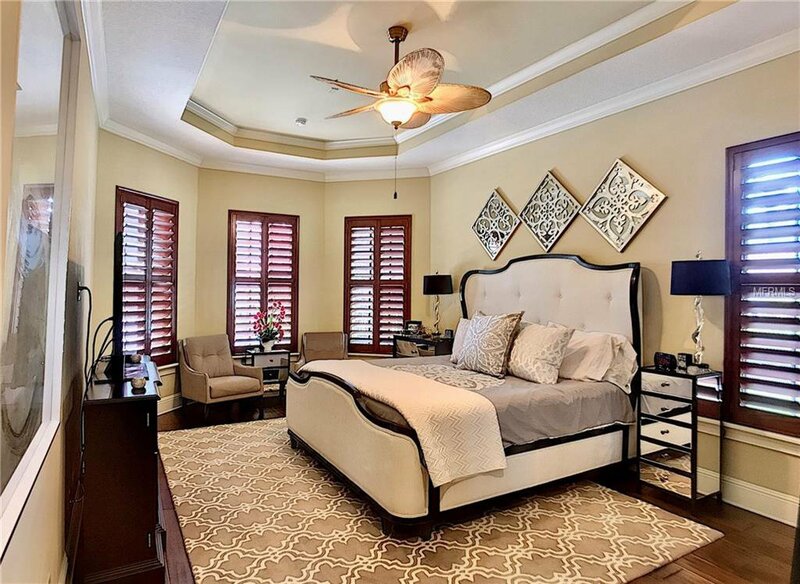 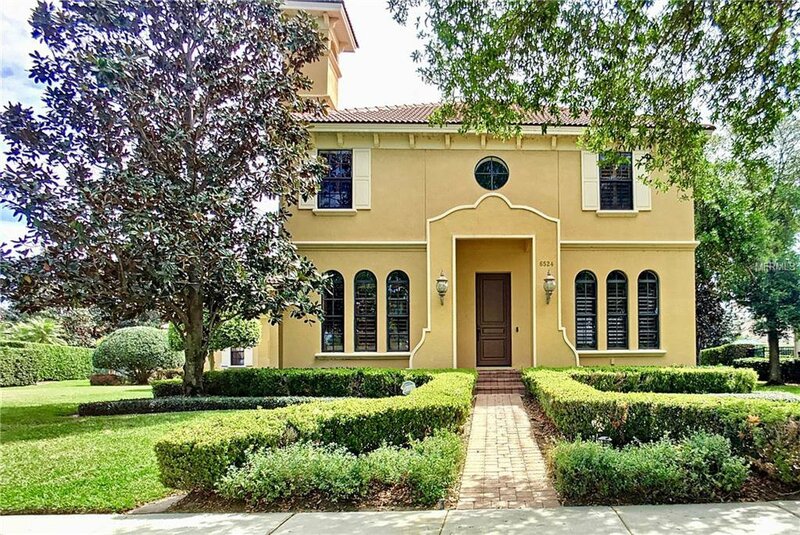 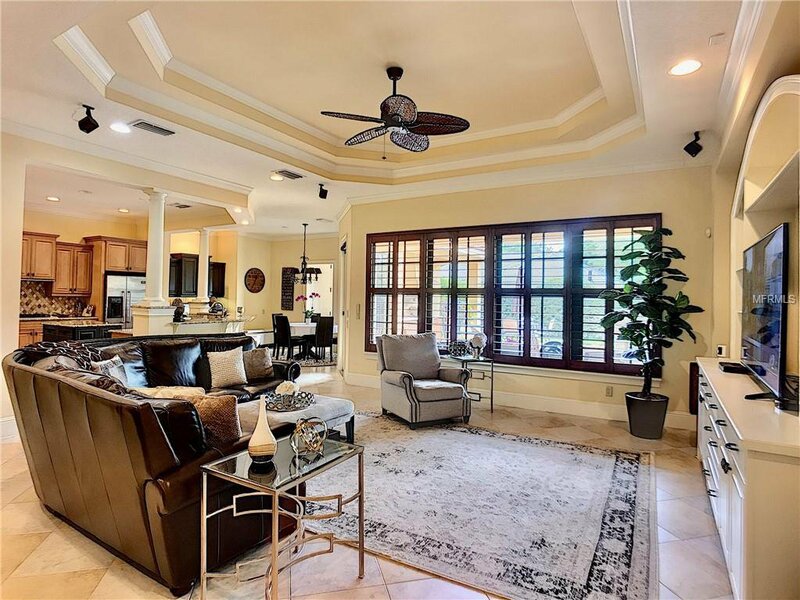 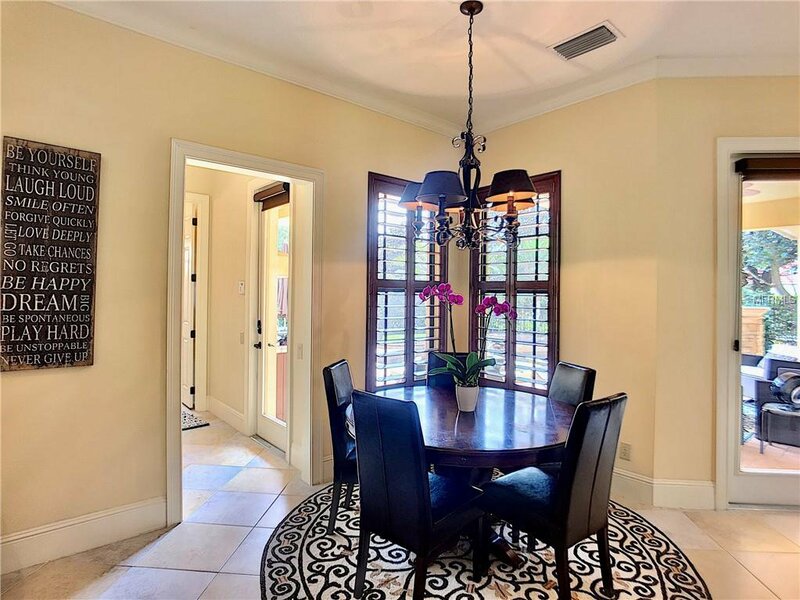 This home features wood moldings throughout, custom stained plantation shutters, decorative tile work, volume ceilings and much more. 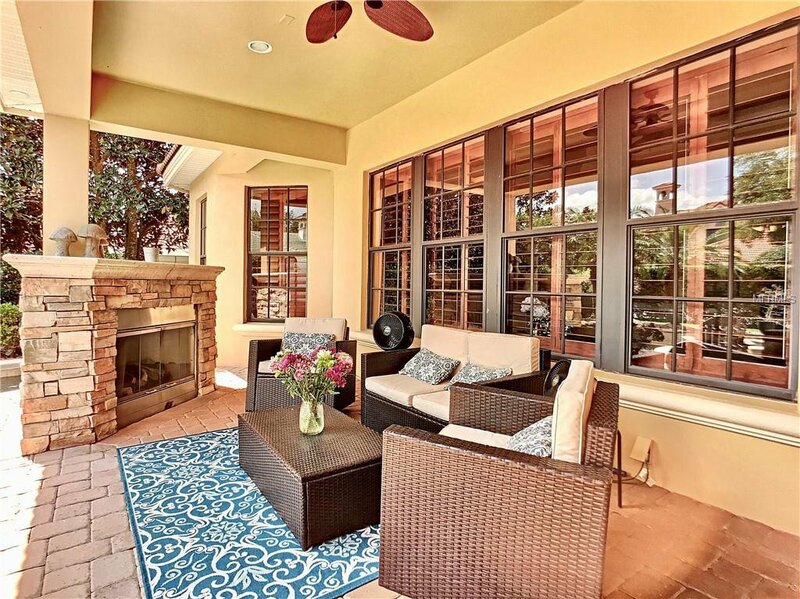 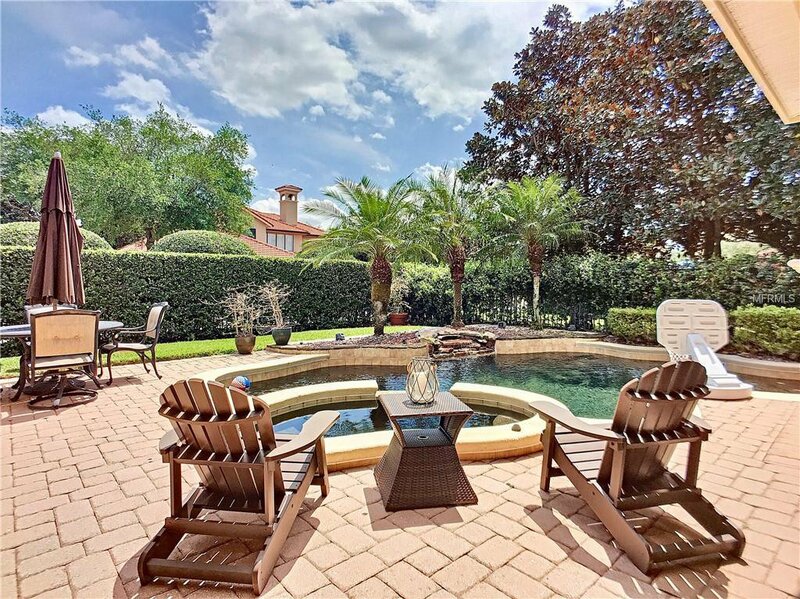 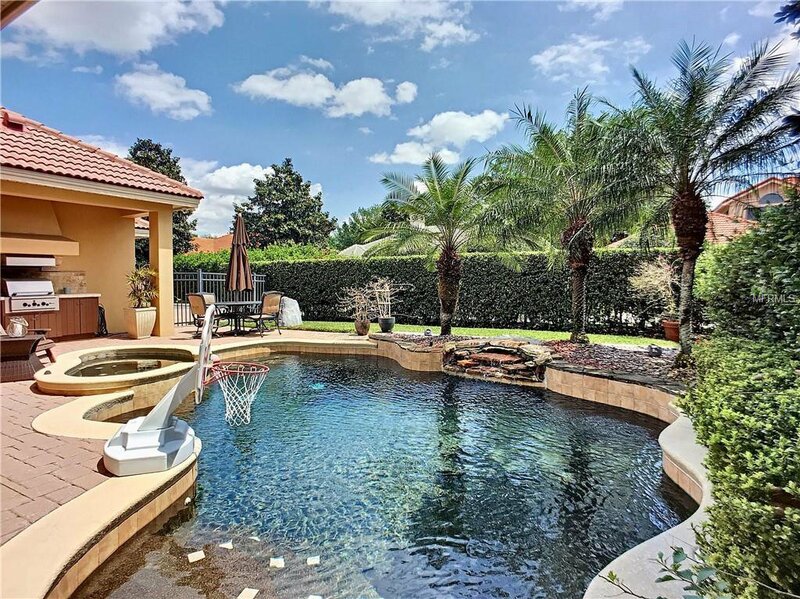 The outdoor area is perfect for enjoying a relaxing evening by the gas fireplace overlooking the pool/spa or preparing a meal in the summer kitchen. 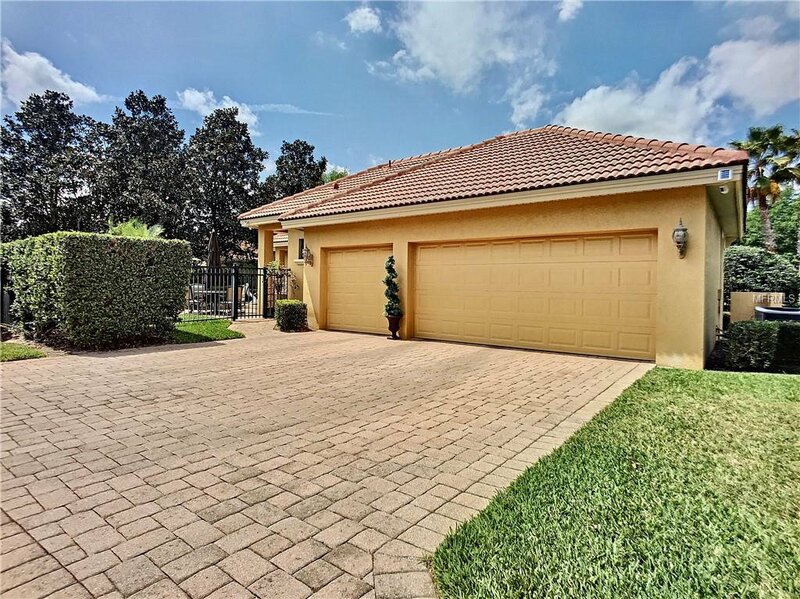 There is also a 3-car garage and spacious laundry room with granite countertops and additional cabinetry.